Purchase a limited edition LenoirSax T-Shirt to support our fundraiser. 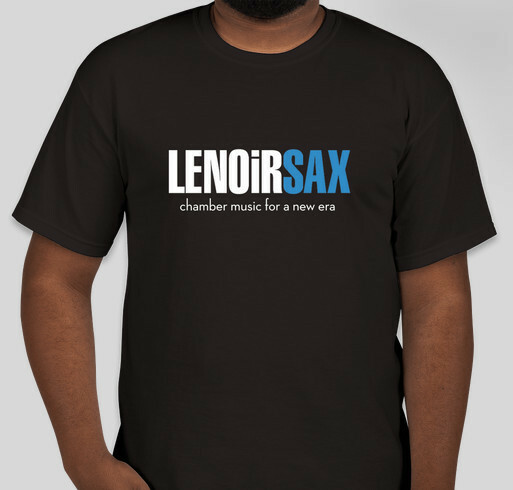 All funds raised will be paid directly to Lenoir Sax for Charitible Concert Support. Fundraiser to support our outreach and charitable Concerts we give each season. T-Shirt Funds will go to support venue rental and guest musicians.These concerts are used to raise money for local charities that we donate our time & performance to. I Love the Group. They are Awesome! I love the saxophone quartet and chamber jazz, so I want to support local musicians who perform some of my favorite music. Great group that performs charitable concerts. Share Why You Support "Merrily on High"